Dr. Swim has been on faculty at the Houston Galveston Institute since the early eighties. She moved to Southern California from Houston seven years ago and continues to participate as faculty. She is also part-time faculty at the Department of Counseling and Family Sciences at Loma Linda University in Loma Linda, California, specializing in teaching and supervision from a social constructionist viewpoint. Her current interests at Loma Linda are teaching traditional courses while incorporating a social constructionist backdrop. She helped cultivate the on-line HGI-Taos Institute distance learning and continues to facilitate this on-line. She is an Editor Emeritus for the Journal of Systemic Therapies, on the Editorial Board for the Journal of Qualitative Research, and an Associate Reviewer for International Journal of Collaborative Practices. She enjoys presenting at state, national, and international conferences on Collaborative Language Systems for Individual, Marriage and Family Therapy, Supervision, Teaching and Research. Among her various interests are: academic teaching; qualitative research and publications on supervision, teaching, and clinical practice centering upon a social constructionist perspective. She has recently created EAP Now I See a Person--Equine Assisted Psychotherapy and hopes to expand this endeavor into a natural setting for youth. 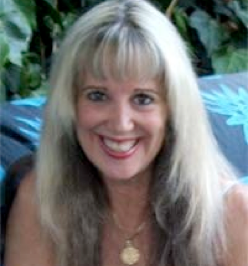 »» Susan E. Swim, Ph.D.
My office is in the quaint city of Sierra Madre, CA. Sierra Madre is a small city nestled in the foothills. The office is actually a small house on the street. It is surrounded by a white picket fence. There I see inidividuals, family and marital therapy.